Frank Cayley was a pioneer of Australian bridge in many fronts – as a player, author, bridge correspondent and administrator. He was born in Sydney in 1910, the son of Rear-Admiral HP Cayley who had commanded both the first HMAS Sydney and the first HMAS Melbourne. He recalled that his father was a keen bridge player but because of his career was rarely at home. His first game of bridge was in 1923 at age 13 when he was at Geelong Grammar. He recalled that this was actually a punishment for his playing poker – he really wanted to go boating instead. As a player, his extraordinarily long period as a top player began as a member of NSW teams in the 1930s, including matches against New Zealand and a par contest against a team picked by William Whitehead playing the Pachabo system. His last national victory came in 1971. He was a national champion in the three main types of events – individual, pairs and teams. He and Wilfred Wallace won the Australia Open Pairs Par Points trophy in 1940, 1948, 1953 and 1958. He won the ANC Open Pairs in 1959 (with Bill Schaufelberger) and 1966 (with Wallace). In 1940 he and EO Harris were winners in the Australia-New Zealand Olympic. He was vice-captain of the winning NSW team in the ANC Open Interstate Teams in 1964, 1965 and 1967 and capped off his career with a win in the 1971 ANC Individual. He also had a very successful record in international par point events. He had three Australasian titles and in 1951 he and his partner, Wilfred Wallace, finished third in the world. He was the non-playing captain of the Australian Open team and the Australian Women’s team in the fifth World Olympiad in Deauville in 1968 but did not enjoy the experience of non-playing captaincy and declined when the position was offered to him again. His first bridge book, Modern Contract Bridge came out in 1933 and his last, Contract Bridge Made Easy in 1980. In 1969 and 1978 he produced two pocket books in the Rigby Series Contract Bridge Bidding and Contract Bridge Play . The former sold 40,000 copies making it the largest ever selling bridge book in Australia, possibly still. Over such a period of time his bidding preferences moved from Culbertson approach forcing to Manning Foster and then finally to Precision. From beginning to end though he was consistent in his concern that not enough books were aimed at the basic player he wanted to improve; and this was the main focus of all his books. There was though nothing simplistic about his approach – they were aimed at the person with basic knowledge who was prepared to put time, thought and effort into the game. Frank Cayley did not believe in short cuts and was a strong advocate of work ethic as the way to improvement. 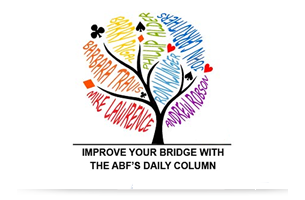 Frank was a journalist by profession and by his own account became the second person in Australian (Hans Rosendorff at the West Australian) was the first) to have a regular bridge column. His column appeared in the Sydney Morning Herald . While with the paper, he initiated the Sydney Morning Herald Rubber Bridge competition which was the largest event of its kind in the world. For ten years, he was Vice-President of the International Bridge Press Association and maintained a wide range of contacts and friendships in bridge circles around the world. 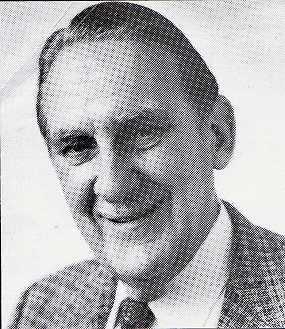 Frank was a foundation member of the NSW Bridge Association in 1933 and was its President for a period of 38 years. In recognition of his service, the position of President Emeritus was created for him. He helped found the Queensland Bridge Association in 1934 and was its first President for a brief period before he moved back to Sydney. He also served as President of the ABF and was granted posthumous life membership in 1982 (the motion to grant him life membership was foreshadowed shortly before his death). During this time he was involved in many of the issues of the evolving local and international competitive bridge scene. He was in particular a major move behind the switch in representative matches to teams based on fixed partnerships and selections based on partnerships. He remained a proponent of this policy, despite disappointing competitive results, on the grounds that it was proving to be a strong encouragement for up and coming young players. The need for fresh blood was a constant theme right up until the last interview shortly before his death. Bridge was not his only interest. He was the author of two other books. His interest in history led to the publication of Flag of Stars – a history of the development of the Australian flag. This was reprinted in 1980 under the title of Beneath the Southern Cross: The Story of Australia through Flags and remains the standard work. He also authored the volume on the Hawkesbury as part of the Rigby sketch book series.